The roasted cauliflower soup was very popular and people even braved the brussel sprout rosti! We had 39 people dining with us in total, including a couple of babies and the postman – who took a piece of rocky road to enjoy on his rounds. Our volunteers did a wonderful job, as always. Amy headed up the cooking and produced the fabulous tagine – thank you! Plus we had 2 new volunteers who fitted straight into the team. Tamsin had some great conversations about the time bank. In fact, she managed to link 2 people up there and then in the café. One person needed her trousers taken up and the other lady was a seamstress. 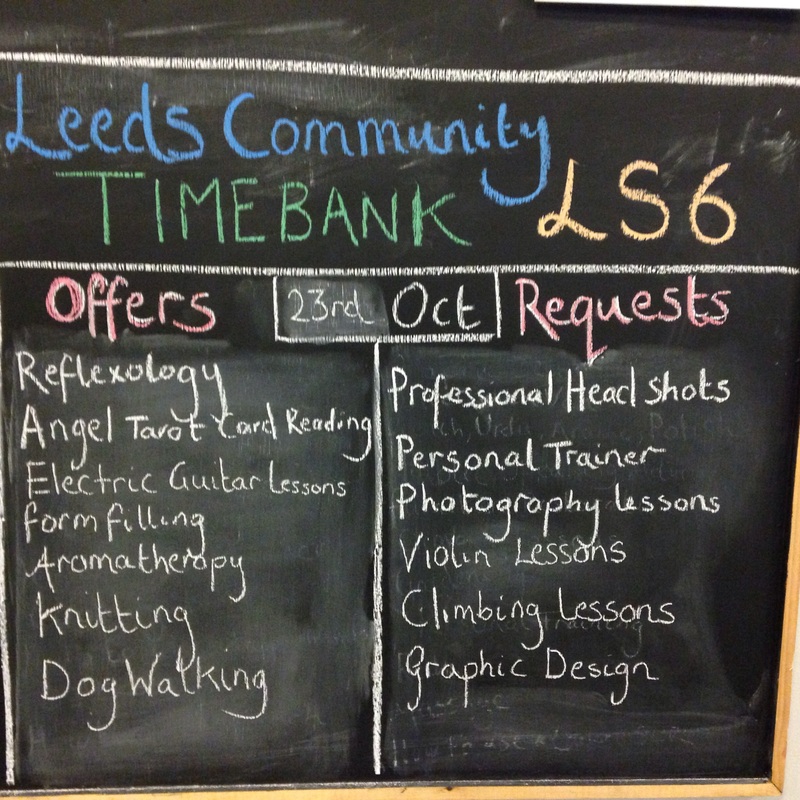 Take a look at the other skills that are in the time bank this week (see above) and get in touch with Tamsin if you want to request or receive. Thank you so much to everyone who supported us today – be it through volunteering in the café, donating items that we can use, donating money, clearing litter from the car park, distributing posters, eating our food, doing administration, introducing others to the café, or supporting us in prayer. It is amazing that there are so many ways in which people help us. We feel very blessed to have you all as part of the café! This entry was posted in PAYF, Stats, TRJFP by Emma Mawer. Bookmark the permalink.